Over the past two seasons Kobe has suffered two different season ending injuries. 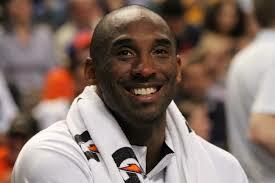 Many questioned whether or not Kobe would be able to play the game of basketball again. Most every sports fan knows who Kobe Bryant is, especially if you live around Sacramento. Not many people around here particularly like his cocky demeanor, his arrogant persona, or even his scoring approach to the game. What one has to admit though, is that the guy has an unprecedented desire to win and has an unmatched work ethic. If this is true, not only is it a testament to Bryant’s skill and ability, but also to his desire to return to the court as good as he has ever been. He has trained very hard to get back to the game. Now we just have to wait and see just how good #24 is as basketball season approaches.